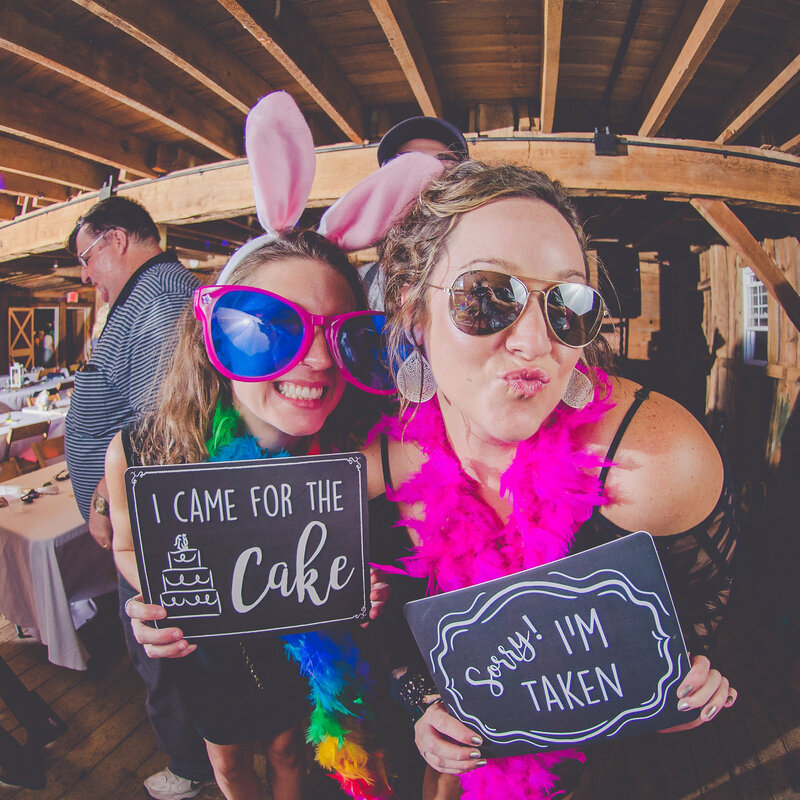 Ditch the traditional and experience our funky, fun, and unique fisheye photo booth at your special event. 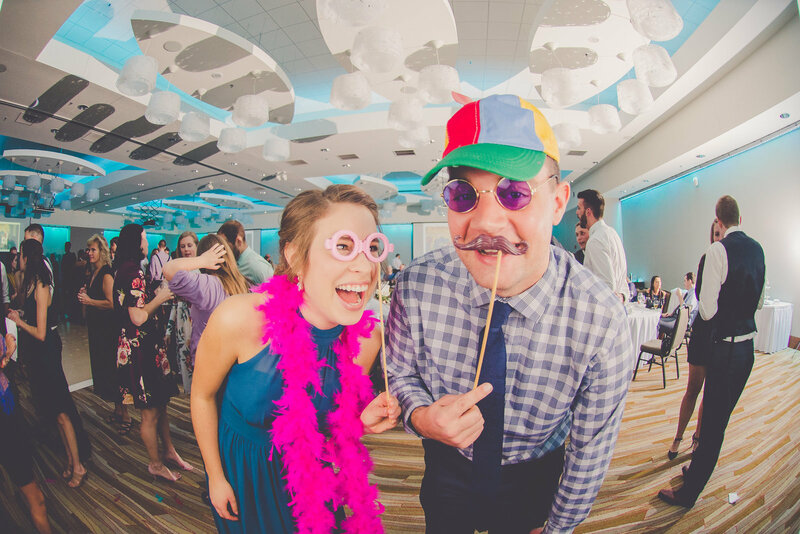 • Our fisheye photo booth is a fun take on the photo booth experience and perfect for weddings, parties, corporate events, and more! 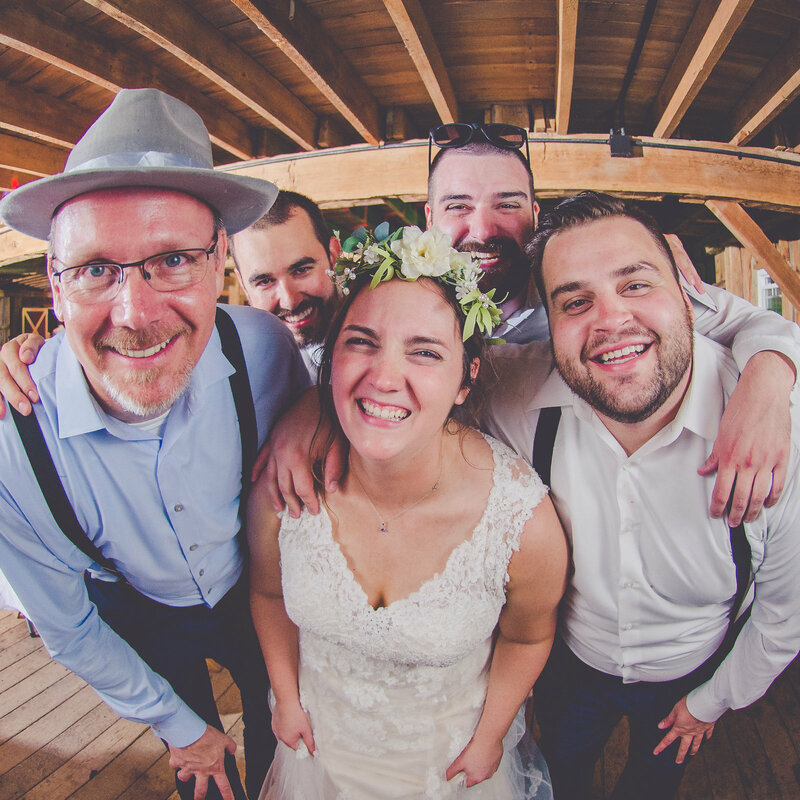 • Your photo booth package includes a fisheye photographer who will take the photos and keep the fun rolling! 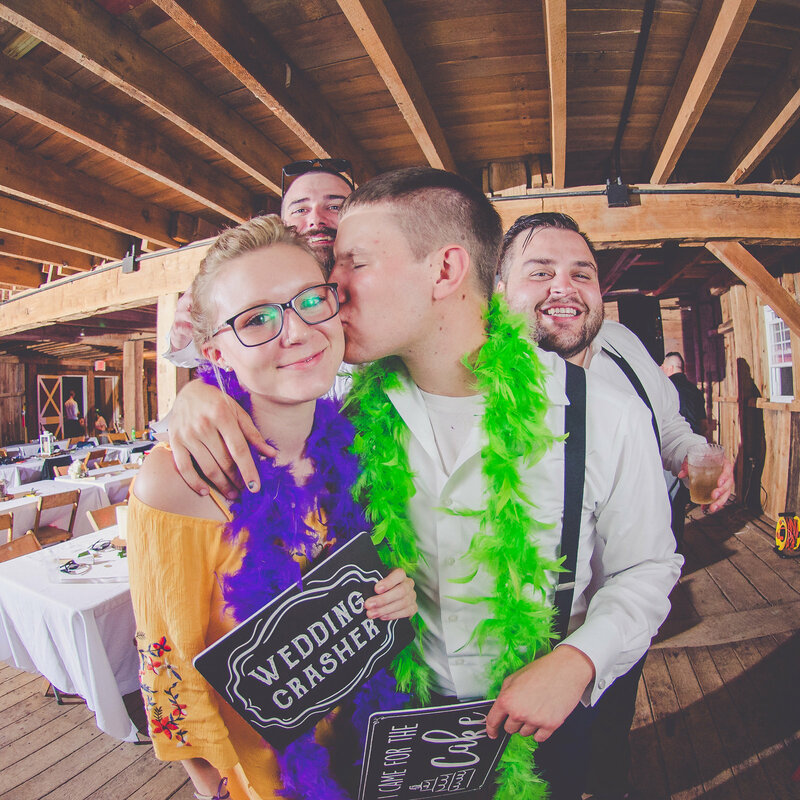 • Packages also include up to four hours of photo booth fun, prints for each person in the photo, and all images delivered via digital download. • Looking to turn up the fun? A la carte upgrades are also available. 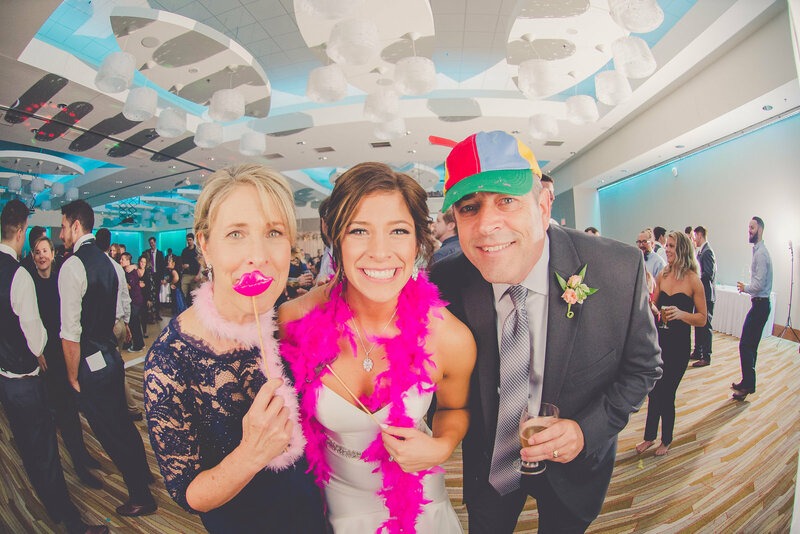 NOW BOOKING FISHEYE PHOTO BOOTH EVENTS FOR 2019! 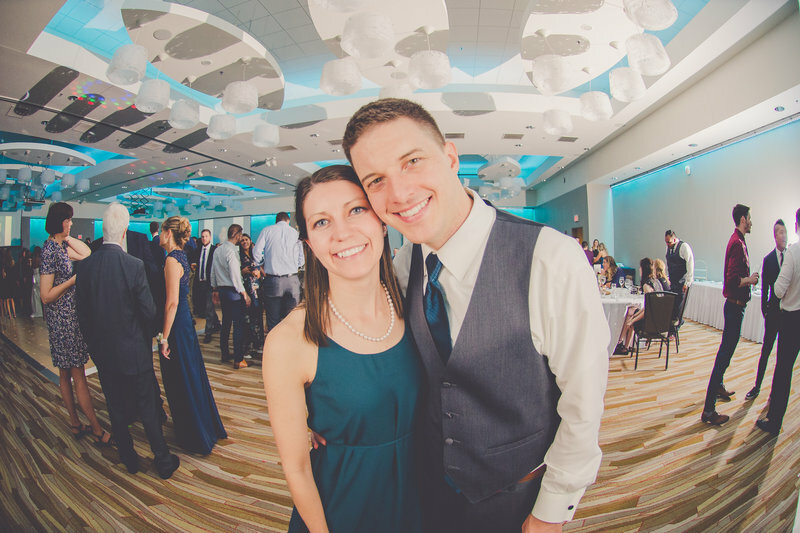 "All of our guests enjoyed it, and everyone could get prints if they wanted. Plus it was easy to download photos after the event. 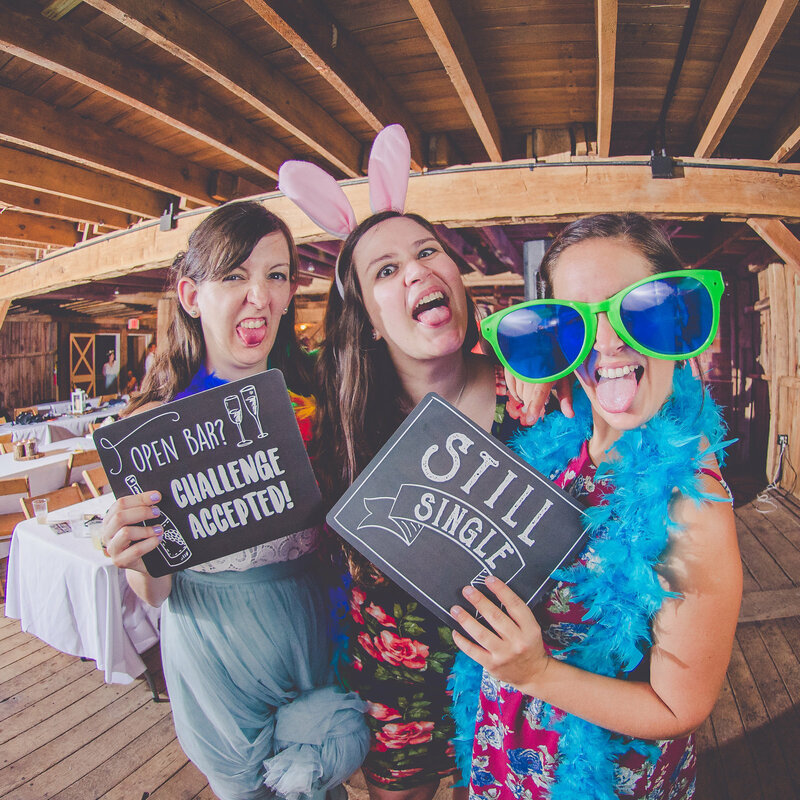 Many of our guests commented on how much fun the photo booth was. 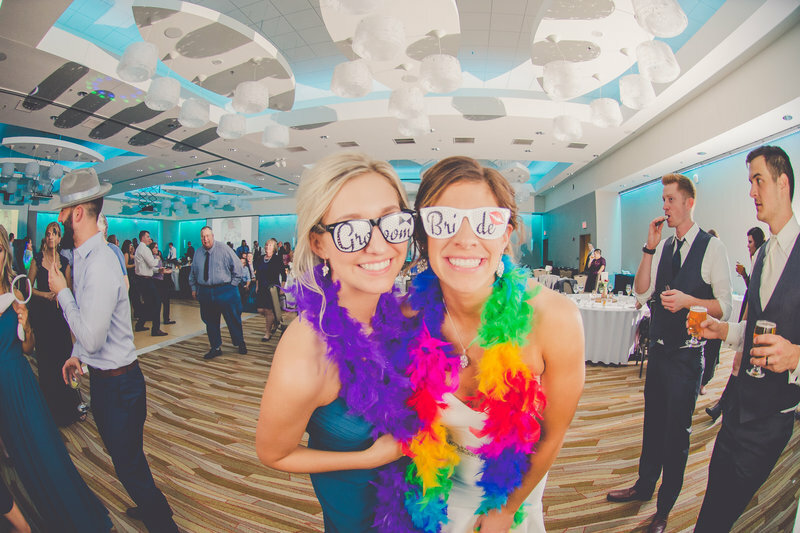 We even brought many of our own photo booth props and used them in combination with Kara's props. Kara was very easy to work with and a great communicator. 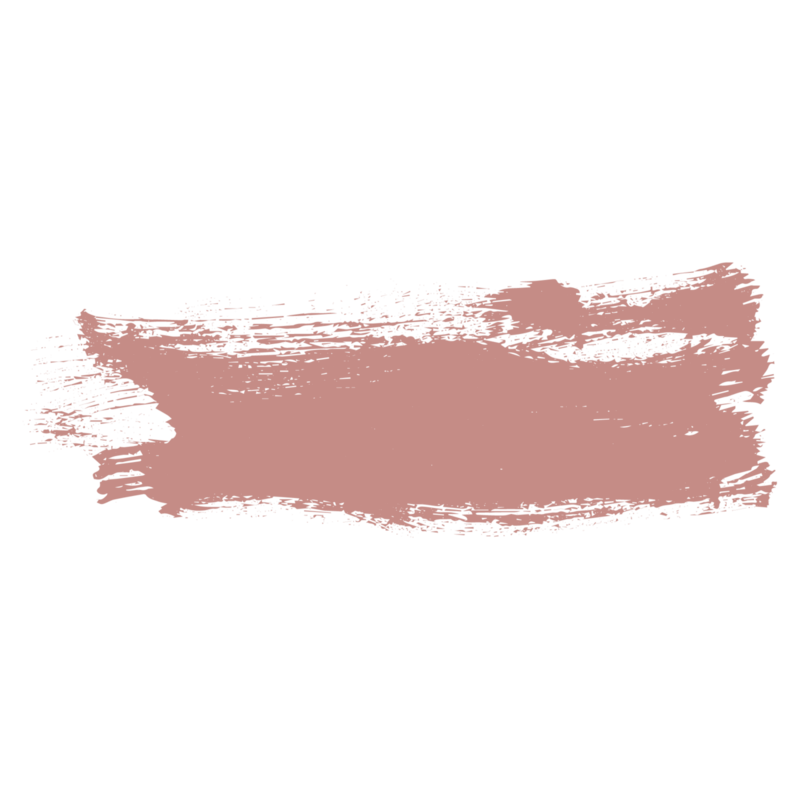 Would highly recommend for added fun at a wedding reception or event!" 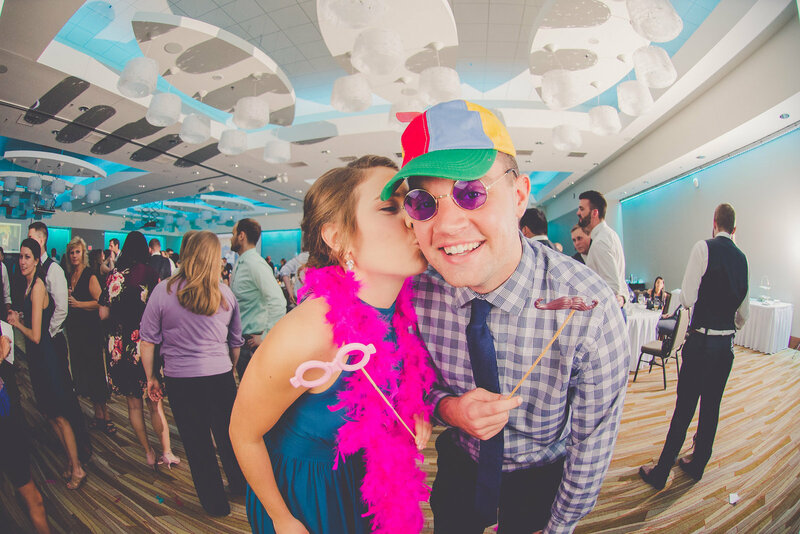 "The photo booth ended up being a huge hit at our reception, with what seems like every guest taking a turn (or two or three!). 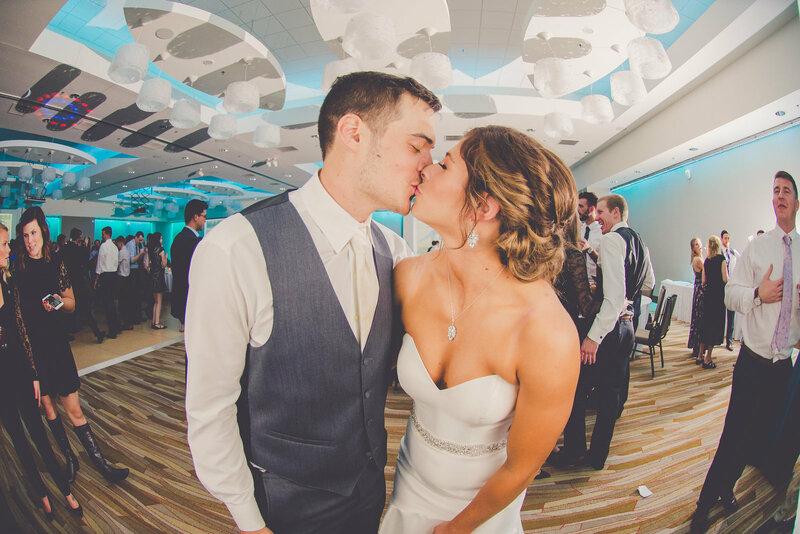 Not only were all of our guests provided their own print out of their photos, we were provided digital copies of all the photos that were taken! 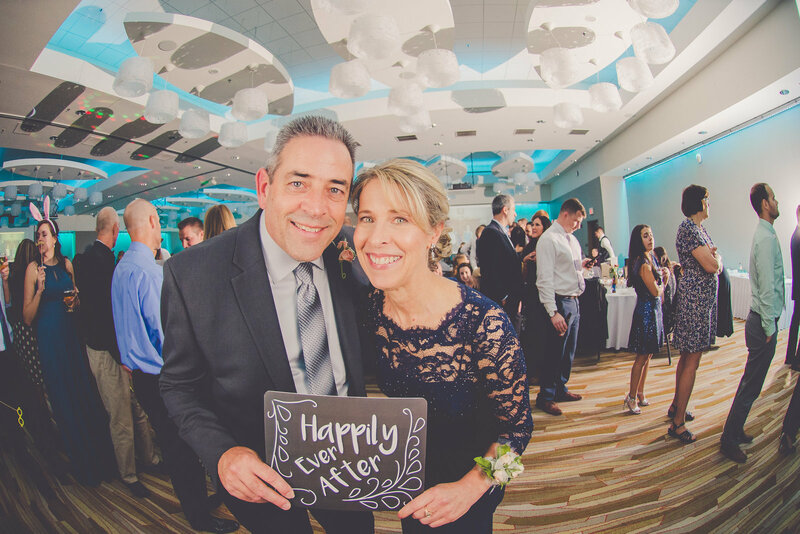 We had an absolute blast looking through the photos together a few days later, allowing us to relive the night and relish in the joy and laughter these pictures captured." YES! 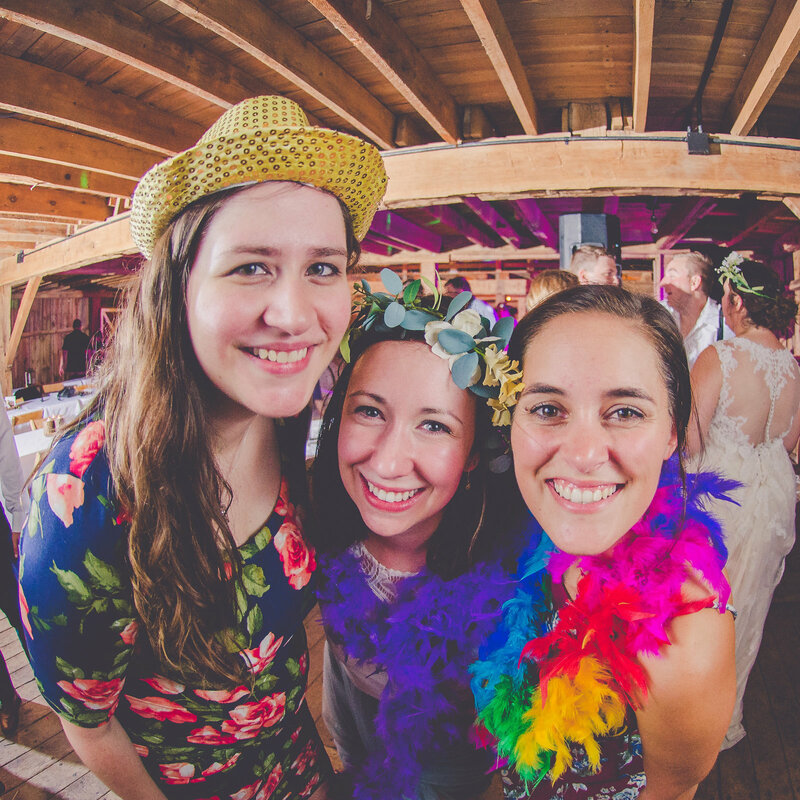 After taking your photo, the fisheye photo booth photographer will print 4x6 photos for each person in the photo. Each print has four photos and a custom overlay for the event! 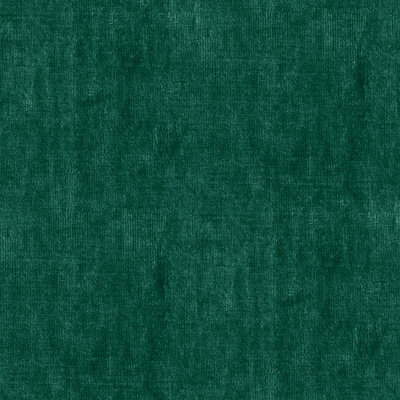 DO YOU OFFER PROPS OR DO WE HAVE TO SUPPLY THEM? 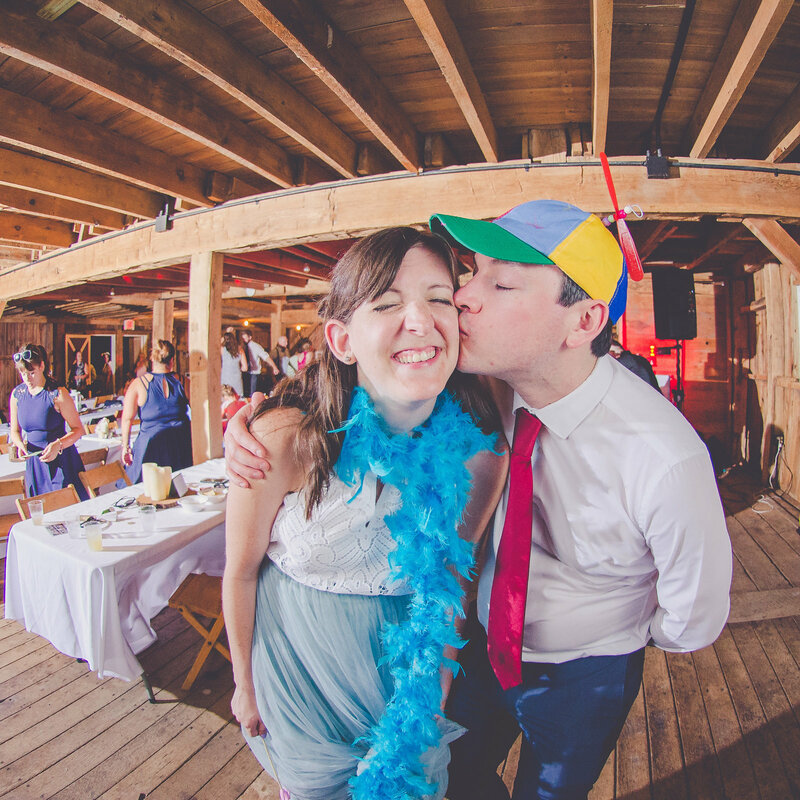 We love to bring along a chest full of fun + funky props, signs, hats, glasses, and MORE! IS THERE A LIMIT ON THE NUMBER OF PHOTOS TAKEN AT AN EVENT? Nope! 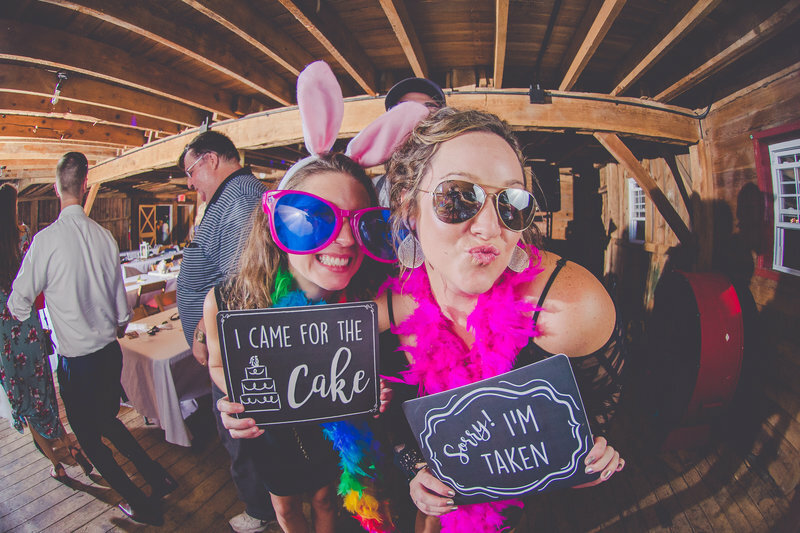 Each event is unique, so there is no limit on the number of photo booth photos taken at your event. WILL THERE BE A PHOTO BOOTH PHOTOGRAPHER ONSITE AT THE EVENT? Of course! 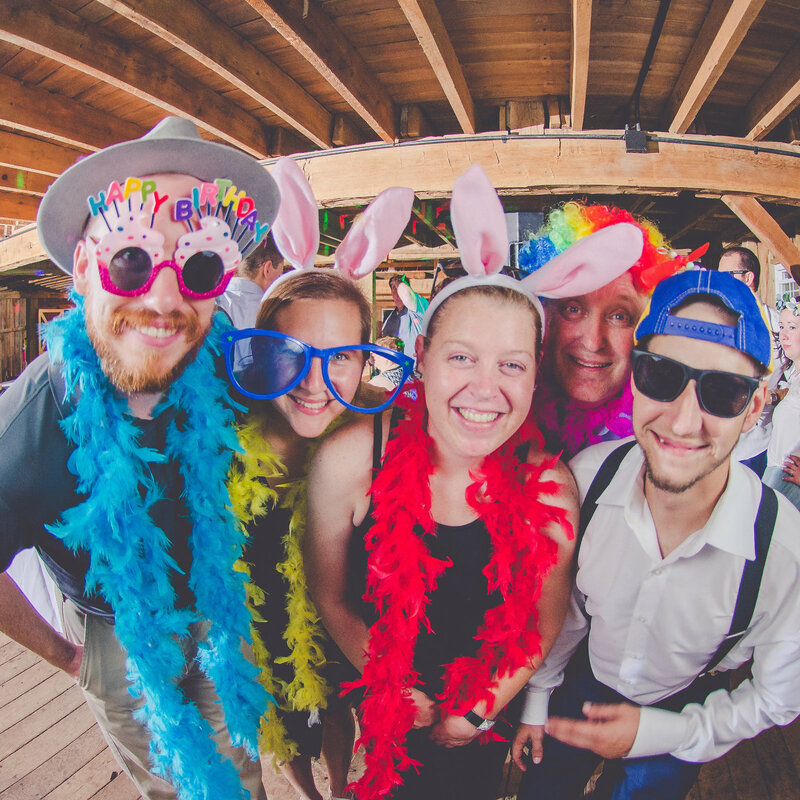 We have a small team of trained fisheye photo booth photographers, so you will always have a photographer at your event to setup the photo booth, take + print photos, and tear down the booth at the end of the fun. WHAT HAPPENS IF DINNER IS IN THE MIDDLE OF OUR EVENT? We’re glad you asked! 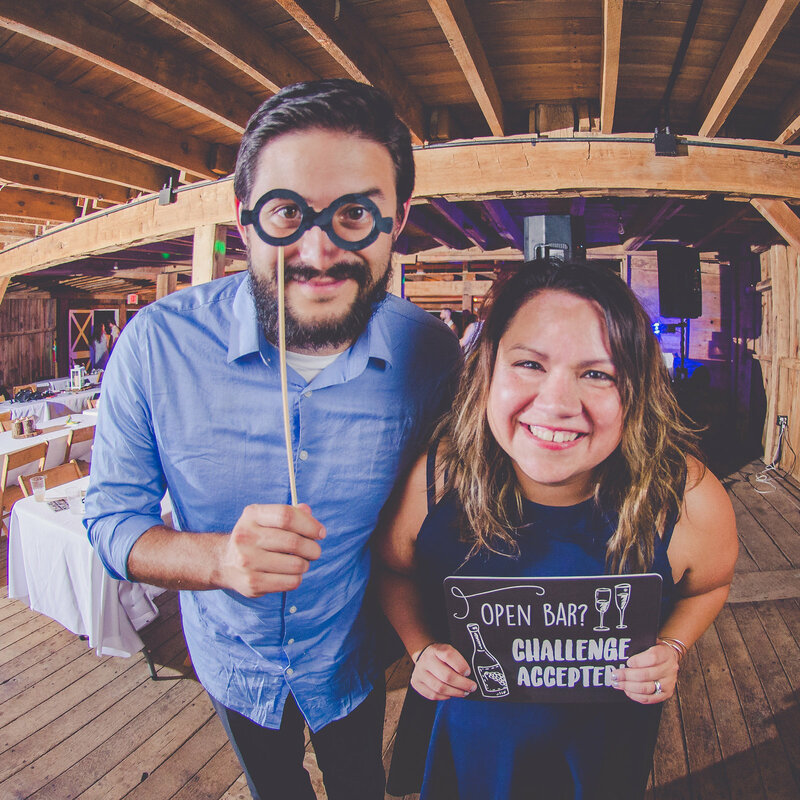 Our packages include the option for one idle hour of coverage because, say, dinner falls in the middle of the photo booth event coverage. 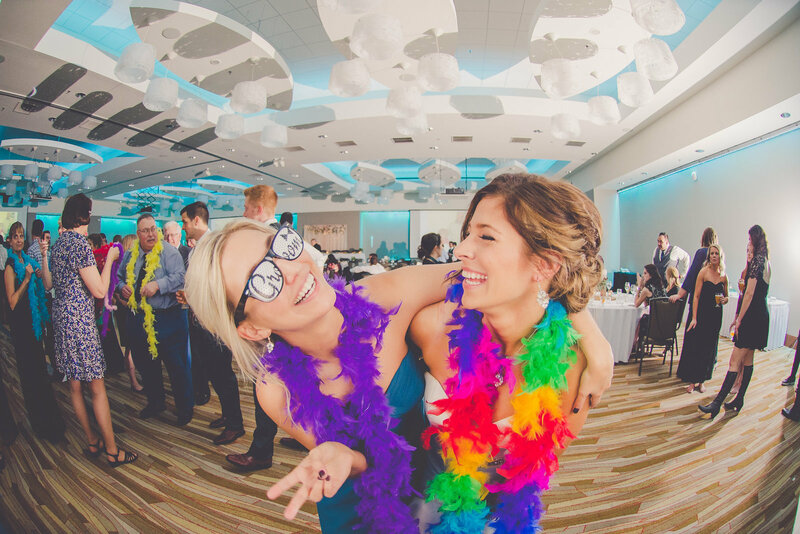 We work with you to accommodate these details and plan ahead for the best fisheye photo booth experience! WILL WE RECEIVE DIGITAL PHOTOS AFTER THE EVENT? Yes, yes, and yes! 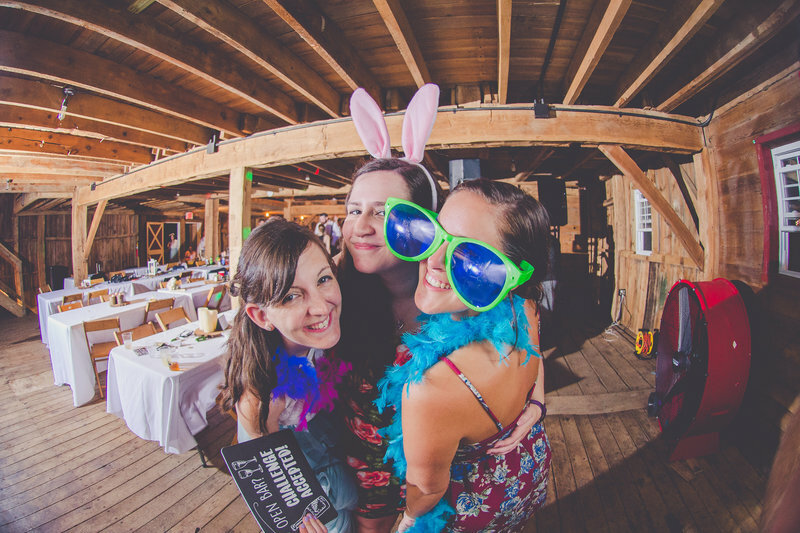 Within one week after your event, you will receive an online gallery of the fisheye photo booth photos. 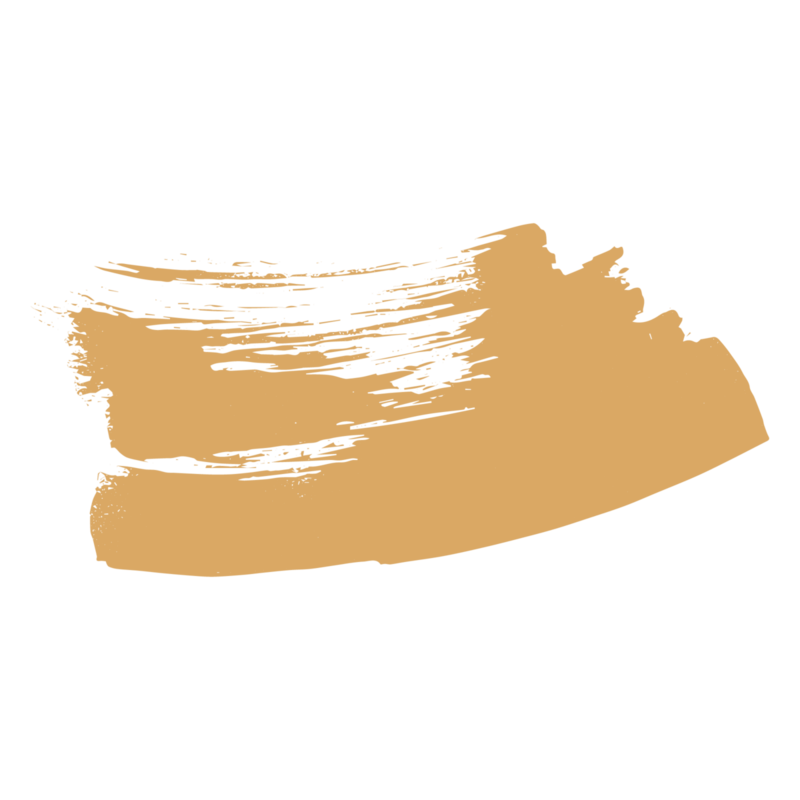 From there, you can download the photos and share with your friends and family! We recommend booking as soon as you have secured your wedding date or event date. 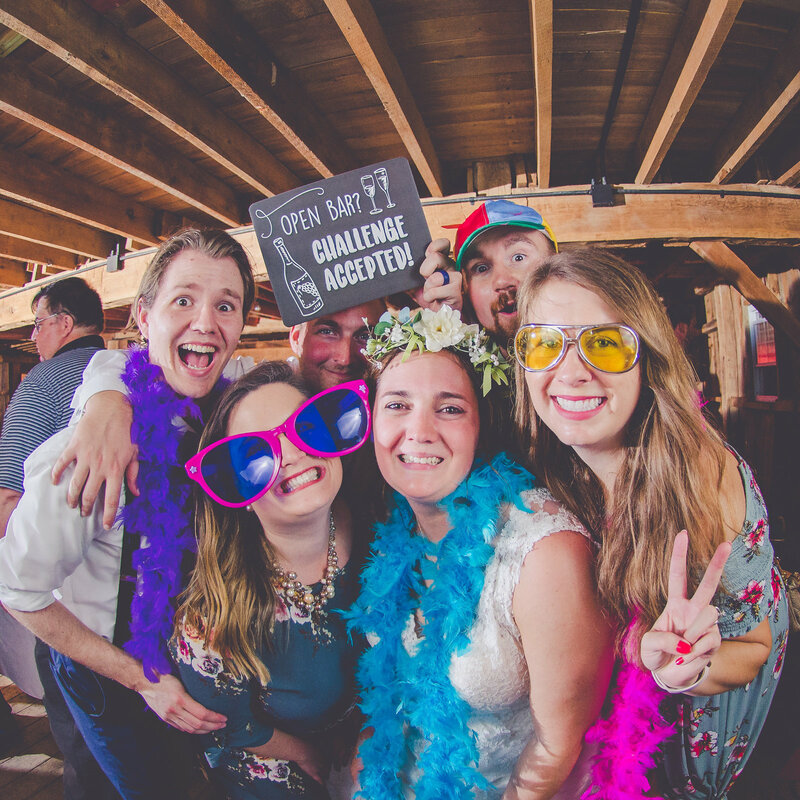 We are currently booking fisheye photo booth events for 2019!